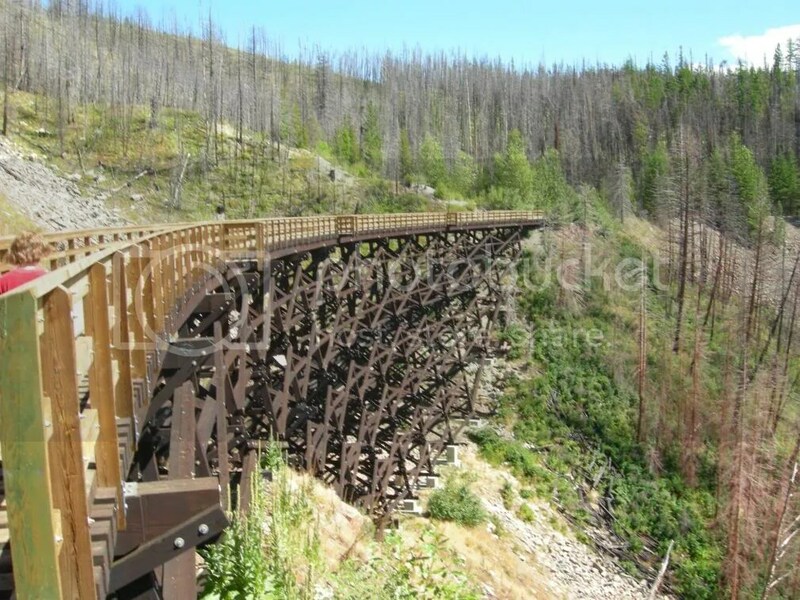 The Myra Canyon section of the Kettle Valley Railway was constructed between 1912 and 1914. The service was part of a ‘Coast to Kootenay’ line that linked the towns in the area and also joined the important main Canadian Pacific line at the town of Hope, BC. Its creation was ordered due to the needs of mining in the area but the railway came to carry both freight and passengers. The regular service ended in 1964 with the very last train passing through in 1973. 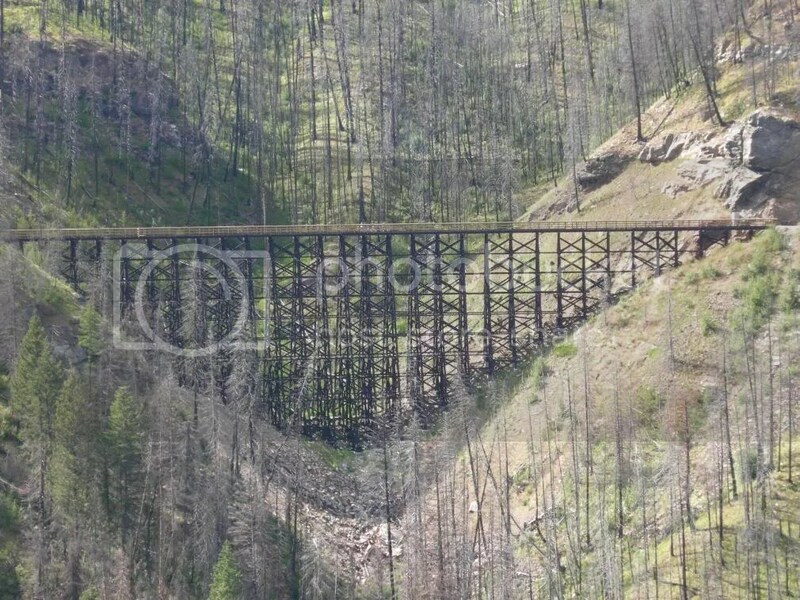 I’m happy to report the local authorities and other interested stake-holders have done, and are doing a magnificent job in restoring the destroyed trestles over the awe-inspiring pass of the Myra Canyon. 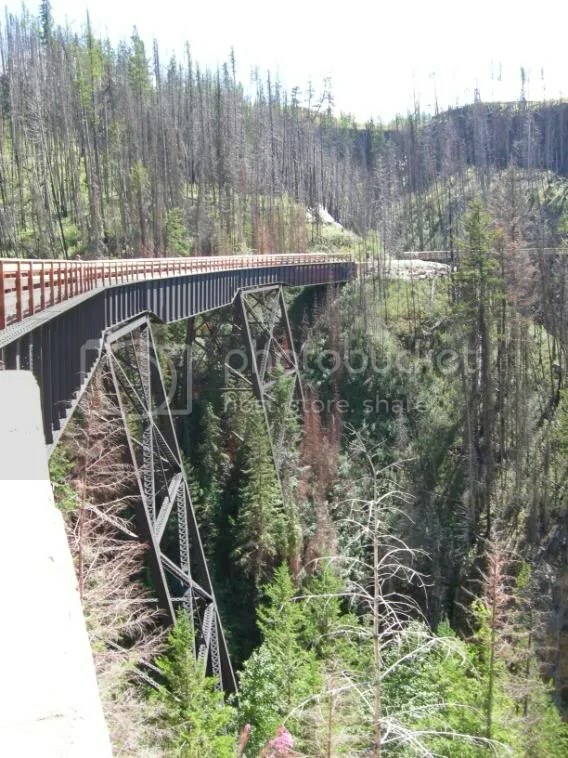 Millions of dollars have been spent in the replenishment of the trestles in order to resume the trails multiple leisure use for hikers, cyclists and a heritage steam train ride. This is a great credit to them. Heading down KLO Road in Kelowna, recently bought sandwiches and drinks in the back seat of the car, we headed on to McCulloch Road before turning into the steep rises of the Myra Forest. 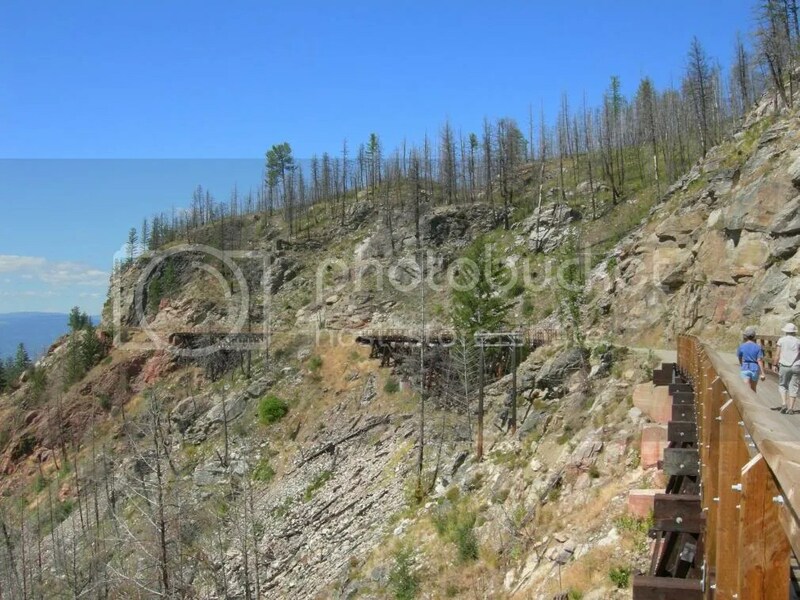 The largely burnt out forestry was a stark reminder of the fire that raced through the area destroying so many trees and endangering wildlife. 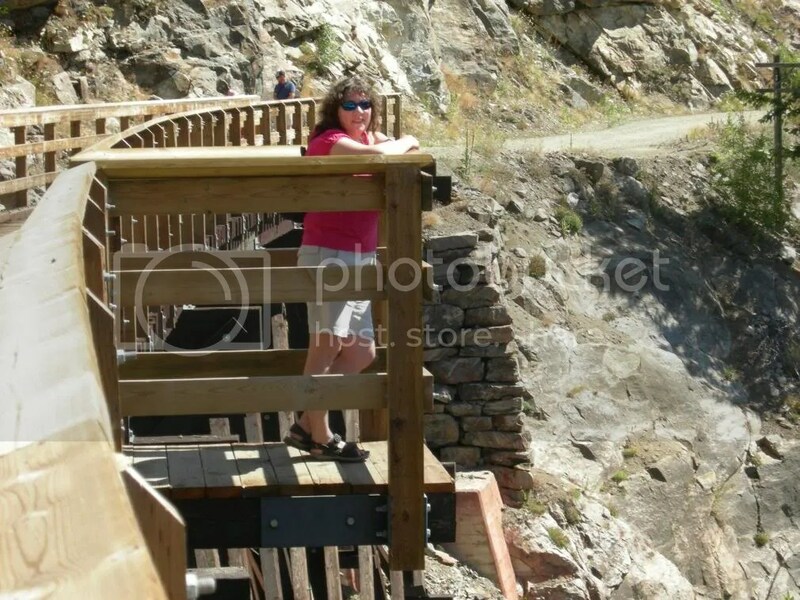 Arriving at the parking area on a typically hot Okanagan summer day in the mid-thirties we took drinks and surveyed Myra Canyon’s numerous visitors for the day. The first sighting of the trestles was quite breathtaking and other-worldly. The thrills remained along the way as they became increasingly stunning as the walk progressed. 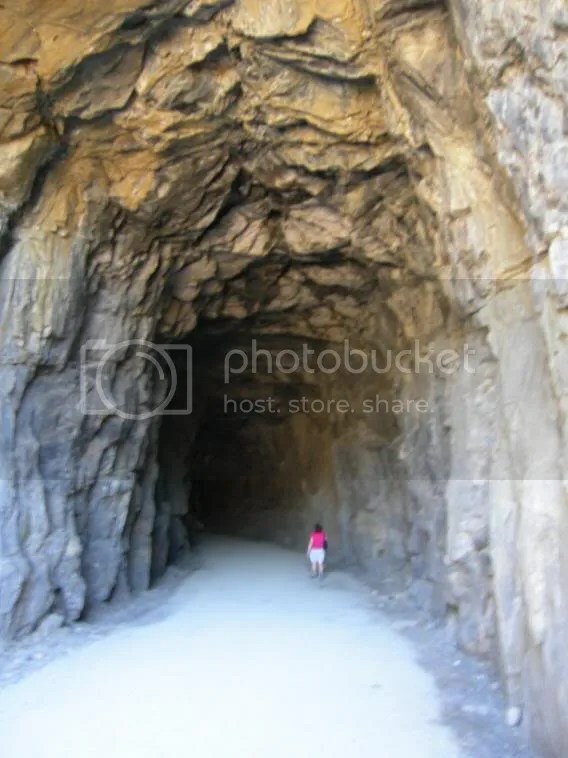 We passed through huge tunnels that had been hewn out of rock by hand, displaying ‘cribbing’ on the interiors that had been designed to hold the weight of the rock in safety overhead. This is Canada right, and it’s barely an individual that passes our way with out a ‘how’s it going’ or a ‘hi there’. 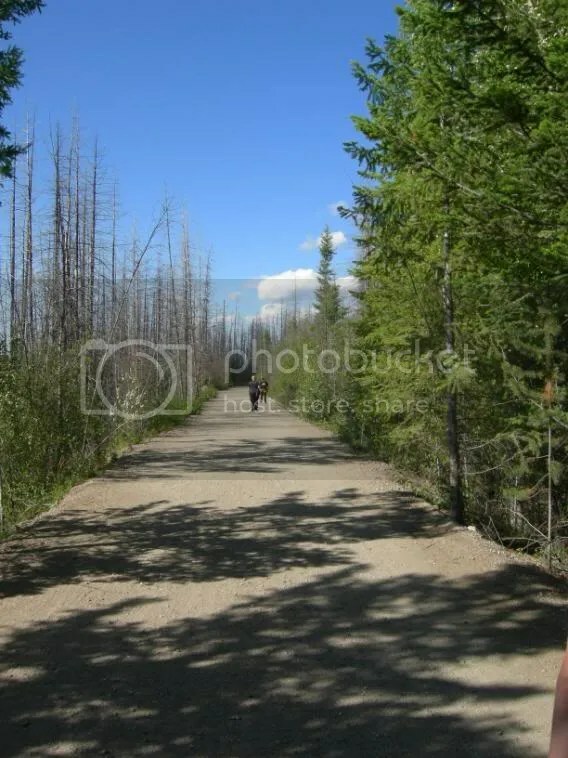 Although this was a Monday morning the Kettle Valley Trail was seeing good service in the August heat as we trudged on through the dizzying views. At one point we observed a sad epitaph to a young woman cyclist who had unfortunately fell to her doom at one of the trestles. A timely reminder to step carefully and hold a little respect for where we were. 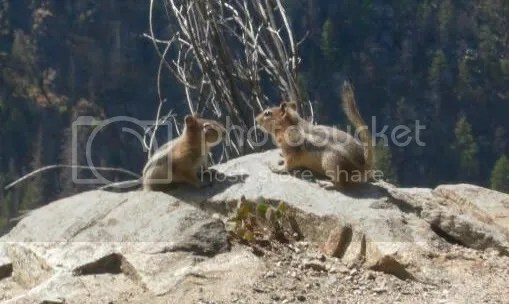 We stopped for water and Chip ‘n Dale turned up on the rock edge looking for tasty morsels. One of the pair fastened on to nibbles of fruit leather offered by my partner whilst another sat on my lap a couple of times with a twitchy yet imploring expression. Eventually my partner ran out of steam and settled on a rock whilst I marched on to that last impressive trestle of the day. A few photographic memories recorded later we were heading back in the stifling heat and thin air to the beginning of the day’s walking. Although a completely flat walk the conditions made it a nevertheless tiring one. I was still facing my daily run so decided a couple of quick miles down the mountain and towards home might be the thing to get the task over and done with. I headed off, jogging along nicely in the sunshine but suddenly upon entering dense woodlands and glades my imagination began to run riot. So what about the bears? Sure it was a hot day and the bruins wouldn’t be seen dead ambling by the roadside, what with an odd car passing through too? They’d be sheltering from the relentless sun, taking a nap? Eating a handful of berries or two – right? All of this reasoning seemed to make no difference. The advice proffered regarding bear encounters began to playback in my mind – make plenty of noise, fight back against the black bears and play dead to the grizzlies. Yes okay then. Anybody you know of actually landed a haymaker on a black bear and not had their face torn off? By now I was bemoaning my possible fate and the lack of passing cars which had seemed so copious before. It’s a nice place but I don;t want to die here – not yet anyway. I think I even wanted mummy. Where the heck was Mel in the trusty Mirthmobile? The notion of my own mortality came to me in those two feeble-minded miles I can tell you. You want to know the ending you say? I escaped my latest ordeal with a blister. 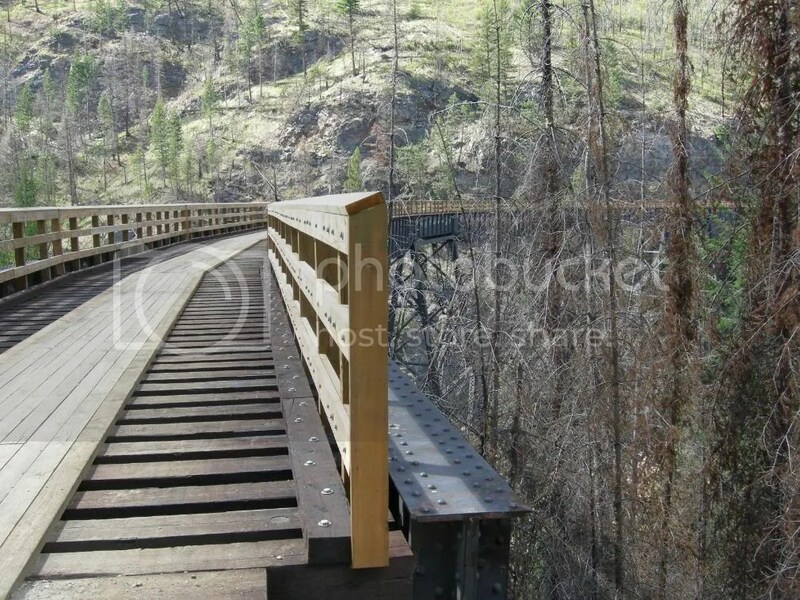 On a serious note I can most heartily recommend The Kettle Valley Trail. 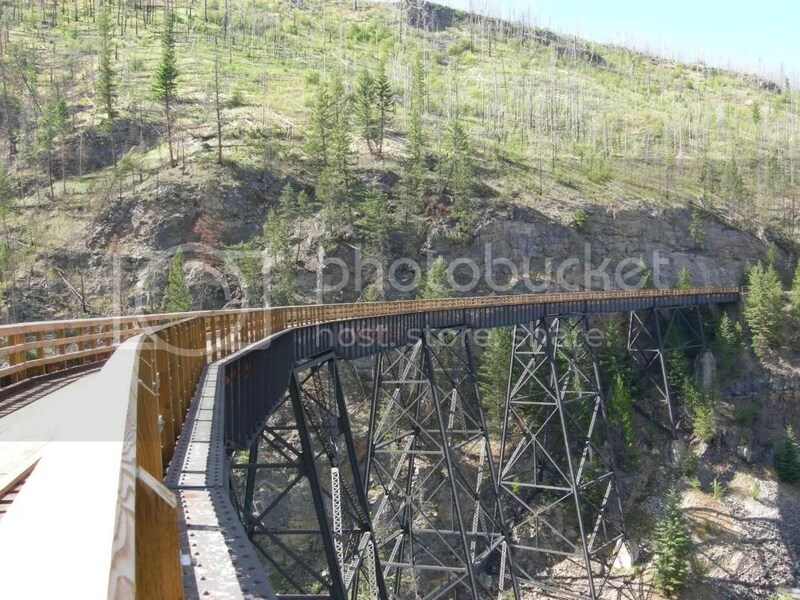 It’s an unmissable attraction of the Okanagan area. I certainly hope to see more of it one of these days. The thought of traversing the whole of its amazing and extravagant route certainly holds great appeal. I’ll leave you with a few more pictures of the day. Does anyone know where that tunnel is located? The tunnel is easy to find. Take the KLO road in Kelowna and head up the McCulloch Road into the Myra Forest. Once up there you will come to a main parking area. Here you can enter the trail. On memory the tunnel was around a couple of miles along the trail.